Another gem that debuted during the Star Citizen 4th Anniversary Live Stream was the Star Marine Preview. The long-awaited module is an arena style first person shooter match system where players battle it out on teams or free-for-all in environments that have variations of full gravity, low or no gravity. 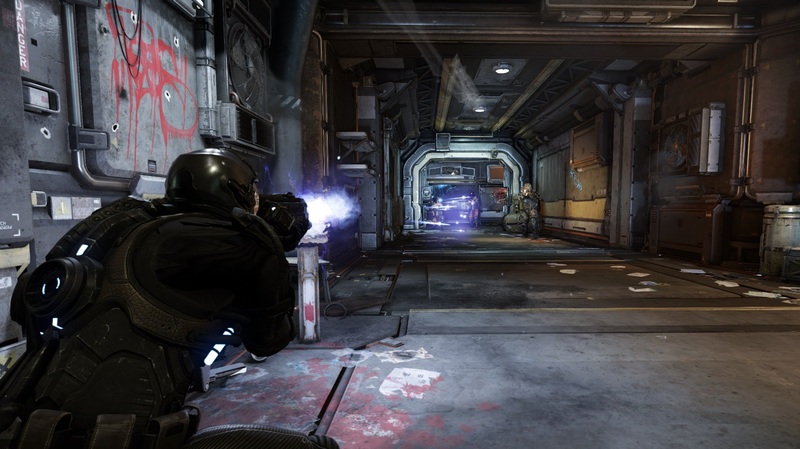 As seen in the Star Marine Preview video below, players transition between gravity and zero gravity throughout the environment. The FPS aspect seems a bit slower paced than most shooters on the market. Time to kill has been a topic that popped up from this video and it seems to be a fairly middle-ground time to kill. In my opinion, it is just right, considering that the combatants are obviously wearing full body armor. I’d like to see more about the destructible environment. In this Star Marine Preview we see players shooting out glass that separates the inside of the space station from the vacuum of space. I’d like to know if gameplay will feature rapid decompression caused by things like windows being shot out. Additionally, the airlocks are permanently open and in place of the typical hard doors, we see what is similar to a force field that lets players walk through it unimpeded.